See the green calendar days. 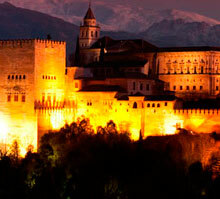 This is a visit "all inclusive" (Guide + entrance fees) staying with us directly in the Alhambra. If there were the possibility of a group in a single language, sometimes the visit could take place in two languages. The reserve is not sent 24 hours in advance will not be dealt. Guided tour of the Alhambra with tickets included. Entrance of the Alhambra and Generalife included. Nazari Palaces, Charles V Palace, Medina, Generalife Gardens and Palace. Maximum of 30 people per guide.. 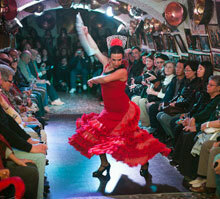 Visits guaranteed in Spanish, English and French. (Ask for German and Italian).